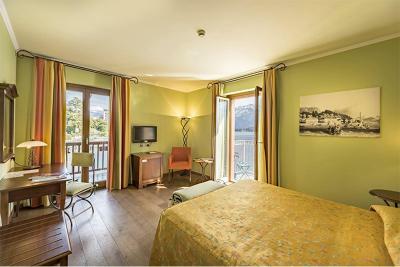 Lock in a great price for La Darsena – rated 9.3 by recent guests! The staff was incredibly friendly, and the drinks were so good! Plus a view to die for from the room and close to the ferry station! My friend and I stayed one night at the hotel. Upon arrival of room was upgraded to a lake view at no charge! The room was clean, comfy and the bathroom was big. The view of the lake was stunning. We decided to have dinner at the hotel and my goodness the food was amazing! If you stay I would recommend having dinner. Breakfast was also tasty. Overall great stay. 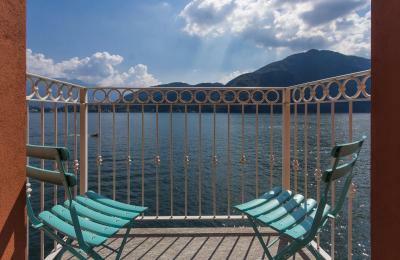 The location was perfect, right on the lake and just a km from the car ferry to Bellagio. Friendly staff, free parking and a great restaurant made the stay an enjoyable experience. Very nice and professional staff. 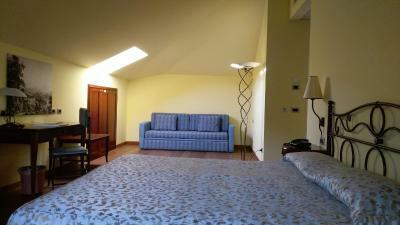 Large and comfortable "mansarda" rooms with nice views over the lake. Wonderful breakfast with a view. No problem to park the car. Conveniently located to easily reach places of interest. The view was amazing. The room was large and comfortable. The staff was friendly and accommodating. Beautiful small hotel. Room was very nice with a nice large bathroom with good shower. Had everything in it that you need. 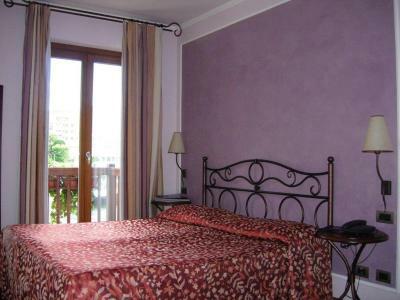 Great location near a park with access to the lake and also near restaurants and Villa Carlotta and the ferry. 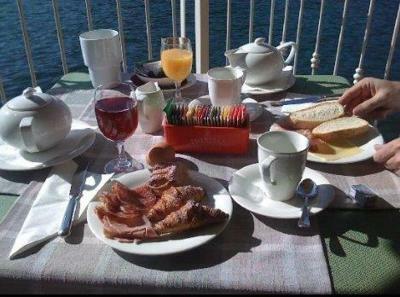 Lovely terrace on the lake for breakfast and the breakfast was wonderful loads of choice and beautifully presented. Staff were great. The attic room has skylights that can't be closed. Its bright at 5am. The staff and location for the hotel were great. Saw on the tv program Amazing Race, surprised when found out it was our hotel. La Darsena This rating is a reflection of how the property compares to the industry standard when it comes to price, facilities and services available. It's based on a self-evaluation by the property. Use this rating to help choose your stay! 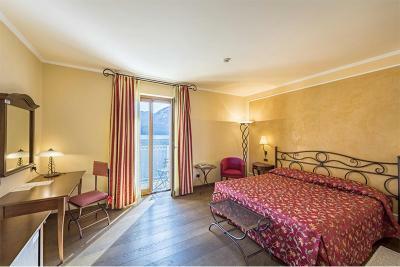 Set on the shores of Lake Como, La Darsena is 500 feet from the center of Tremezzo, overlooking Bellagio and Mount Grigna. 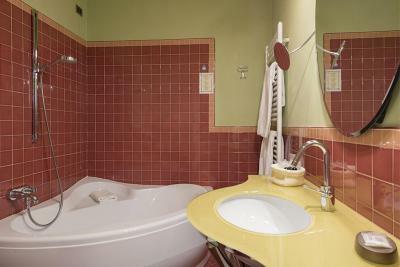 It features a gourmet restaurant, free Wi-Fi and rooms with hardwood floors. 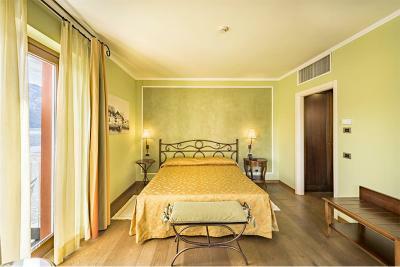 Air-conditioned rooms at La Darsena have colorful décor, satellite flat-screen TV and a minibar. 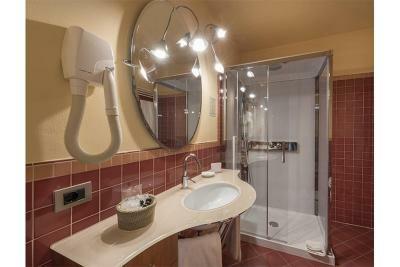 The private bathroom includes free toiletries and a hairdryer. 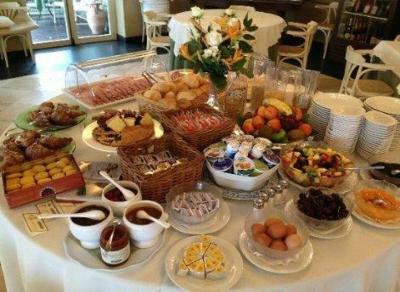 A sweet and savory breakfast is provided daily. 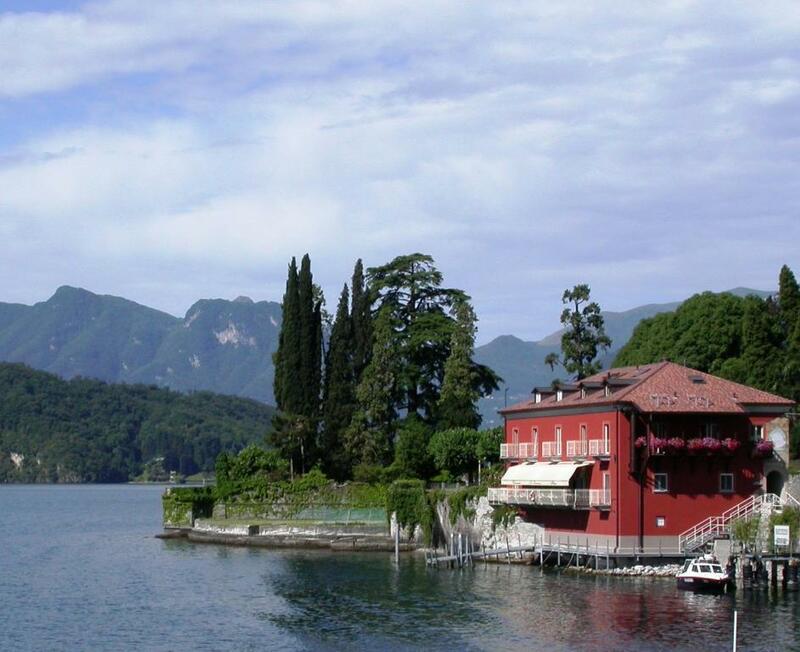 Hotel La Darsena has a private docking and mooring for boats, and is 300 feet from a ferry stop. 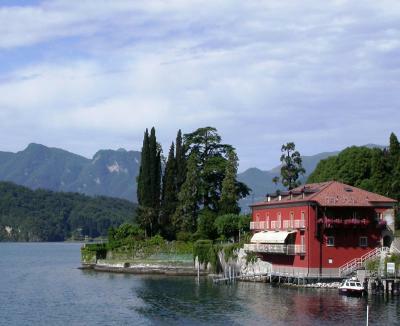 Villa Carlotta Gardens are just a 5-minute drive away. 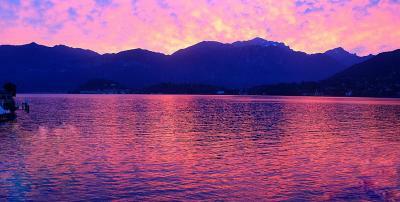 This property also has one of the top-rated locations in Tremezzo! Guests are happier about it compared to other properties in the area. 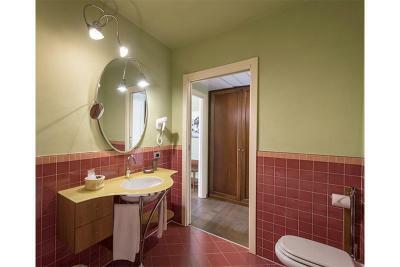 This property is also rated for the best value in Tremezzo! Guests are getting more for their money when compared to other properties in this city. 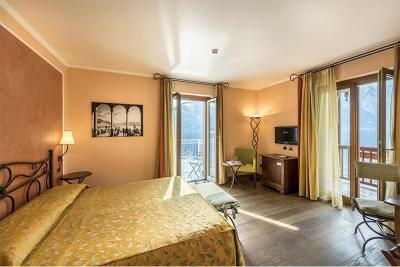 When would you like to stay at La Darsena? Overlooking the street or the mountains, this suite has air conditioning, a flat-screen satellite TV and minibar. Please specify bed preference during reservation. 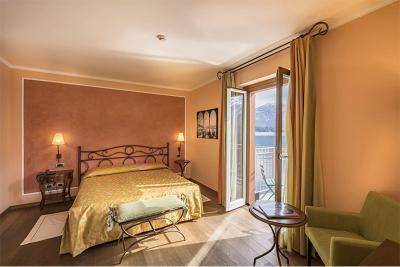 With a private balcony overlooking Lake Como, this room features a private bathroom, air conditioning, a flat-screen satellite TV and minibar. 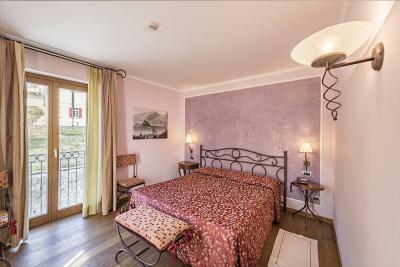 Offering partial views of Lake Como, this room overlooks the street. It includes a small wooden balcony, air conditioning, a flat-screen satellite TV and mini-bar. 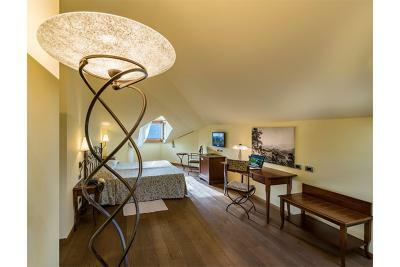 This attic room overlooks the lake from the window and includes air conditioning, satellite flat-screen TV, and a minibar. This twin/double room has a mini-bar, sofa and satellite TV. House Rules La Darsena takes special requests – add in the next step! La Darsena accepts these cards and reserves the right to temporarily hold an amount prior to arrival. 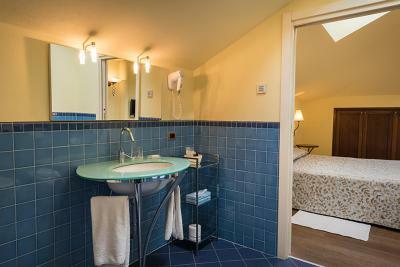 Specially designed rooms for disabled guests and non-smoking rooms are available on request. Amazing location in front of the lake! Friendly and polite staff. Don’t miss the restaurant! 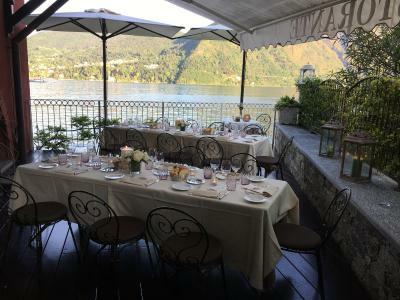 Perfect location on Lake Como, friendly family-run hotel, beautiful restaurant, a close ferry ride to Bellagio, did I say perfect location. Wifi is a bit slowish, like everywhere. 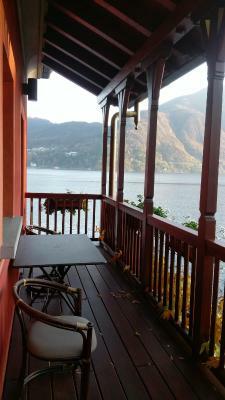 Great location, kind staff, no noise at all from the road on the lake side, good breakfast, large room, great view. Very nice hotel with comfortable rooms, lovely view and very helpful staff. They gave us late check out as well. None, but to make the Hotel greater, some “in-room facilities” would make the place more practical. Perfecto. 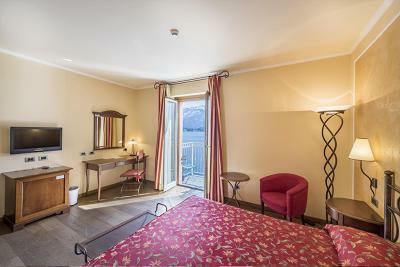 The experience of enjoying the stay at Como would not have been enriched to the great Italian standard without spending few days at “La Darsena Hotel”, particularly by opting for the must-have “sea view”. It is suitably located nearby other similarly great towns, with quite easy access via either Bus (No. C-10), Car & Ferries. The cleanness of the place is amazing and uniquely maintained in consistency across all over the rooms and the Hotel, including its Restaurant. 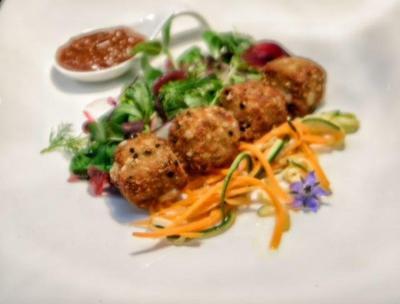 This rating has been topped up by the distinctive food experience that we had with the professional touches of the Hotel’s Chef. At the Dinner, we were served with an Italian recipe that was carefully crafted to deliver the maximum essence and natural taste out of the fresh ingredients, all in a balanced manner...surprisingly and with the Hotel-Team’s attention and supervision, the food was suitably cooked and served to fit our personal liking and in conformance to our cultural tolerances. This alone adds one more star to the review. In collection, the life standards at “La Darsena” sets a successful example of the collaborative-family managed business. The support & team work among the working-force makes the place livable, home-style and warmly welcoming. 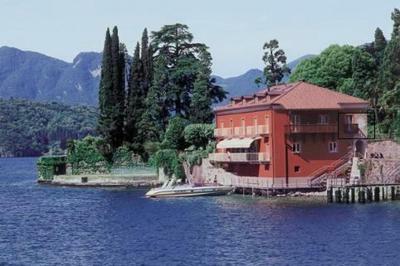 I’ll definitely return to this great place, whenever my future travel-plan to ITALY points towards the Great Lake of Como. Arrivederci! Poor menu for vegetarians ( dinner had only few options) for meat/fish eaters it was good ! The location and parking is great! But we were there in low season , so never had problems with parking . Staff is very helpful and friendly. Super clean rooms and all surrounding. Best way to stay for runners , spacious walkways and beautiful park. Breakfast room is fantastic with view on lake an mountains; a real event. Very friendly owner. You need an eye mask for the skylight windows if you want to sleep in. 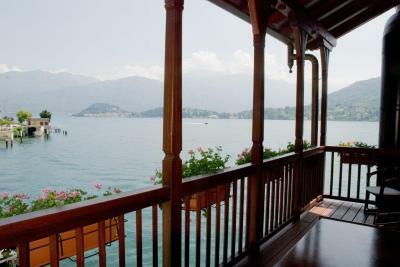 Great hotel, amazing spot right on the lake with perfect lakeside dining room. Very friendly and helpful staff. We have stayed here several times before and will definitely be back!